having a hard time. 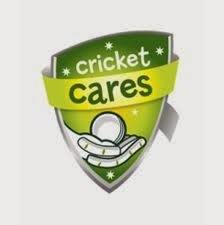 However, I have to say "Well done" to the Aussie cricket board for their "Cricket cares" campaign. The aim of the charity to get the cricket fraternity to give back to the community. 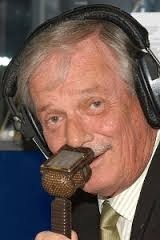 Their 2 main charities are the McGrath foundation and Movember. Both are charities involved with cancer issues. The Mc Grath foundation was set up after Jane McGrath, wife of Glen McGrath, was diagnosed with breast cancer. Since its inception, it has raised $1.5 million dollars. Much of that money goes into funding breast cancer nurses: nurses who help women navigate the diagnosis and treatment of breast cancer. At the time the Breast Course for Nurses was being set up, I had correspondence with a number of breast cancer nurses organisations in Australia. Although they have a more equitable heath system than we do, they have many rural clinic and so some challenges are similar to ours. Jackman, (South African cricket commentator) who has helped raise an enormous amount of money for the Hospice foundation in RSA and lately for the Mercy ship. Before I can go back to hoping the Aussies get totally humiliated, I have to add that the Mc Grath foundation claim that 89c of every $1 donated goes directly to their projects. Well done to them.